Follow your infinite imagination and sense of fashion! We are proud to announce our upcoming release in cooperation with a Japanese development studio Mebius. 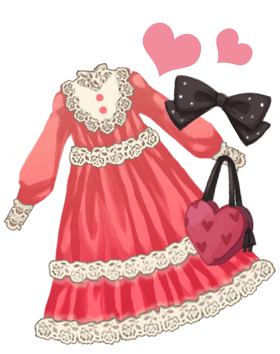 Doll Fashion Atelier is soon going to hit Nintendo 3DS™ offering an adorable dress up party experience! Every girl dreams about endless amount of dolls to style in fashionable items. Put on a make-up, choose a hairstyle, dress up in evening clothes or casual outfits and admire your creations! 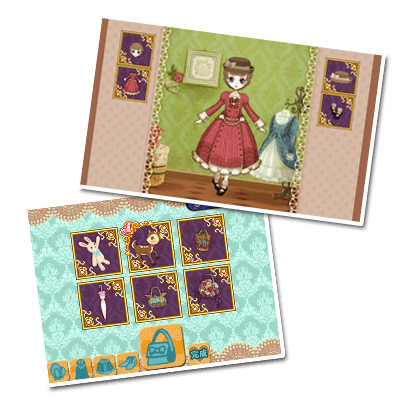 Choose a doll from 5 different themes: Pretty, Gothic, Victorian, Princess or Antique, and dress it up in stunning clothing pieces! There are over 600 items available, including clothes, shoes, accessories, hairstyles, make-ups and more. Add a frame and a background, draw a doodle and take a photo with a camera on your Nintendo 3DS™. Show your doll collections by creating albums and saving them to your SD card or sharing them on Miiverse. Doll Fashion Atelier is a lot of fun for girls in all ages! The game is coming to the American Nintendo eShop next Thursday, april 7th 2016 for $4.99. Explore the Japanese website of the game here: http://d-mebius.com/kisekae_decola or visit a game page at www.teyon.com.